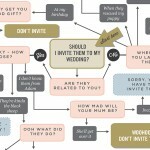 Home > Advice > 3 Reasons you NEED Confetti on your BIG Day! The Real Flower Petal Confetti Company are keen to make sure no couple misses out on the fabulously unique experience of being showered with confetti petals on their wedding day. 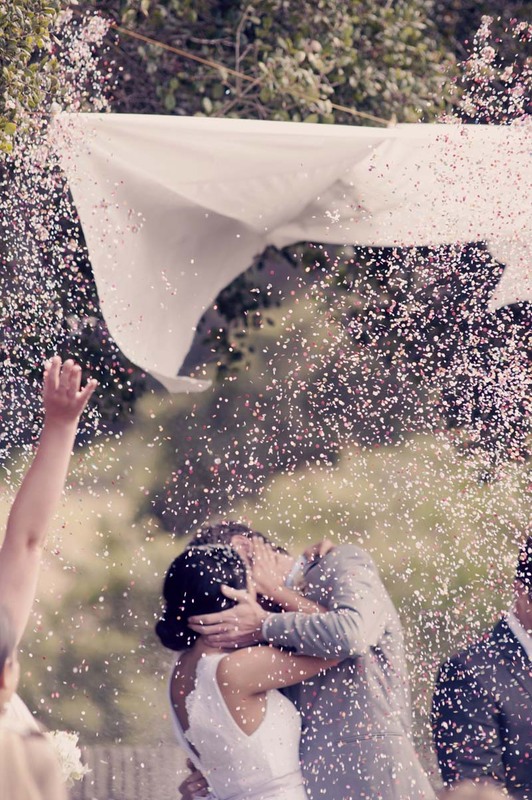 Don’t just presume that your guests will bring confetti with them–so many venues have banned paper, rice and metallic confetti that most people no longer bother. 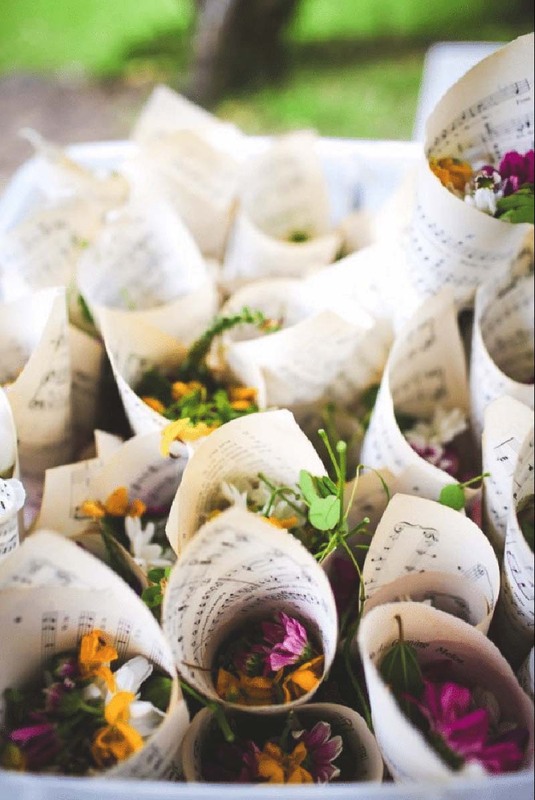 The Real Flower Petal Confetti Company offer a large selection of beautiful, natural, totally biodegradable flower petals that are venue friendly and photogenic. They also have a great range of packaging–think personalised confetti cones, baskets, and pretty hand made envelopes–to help you organise it all. 1. It’s really good luck! 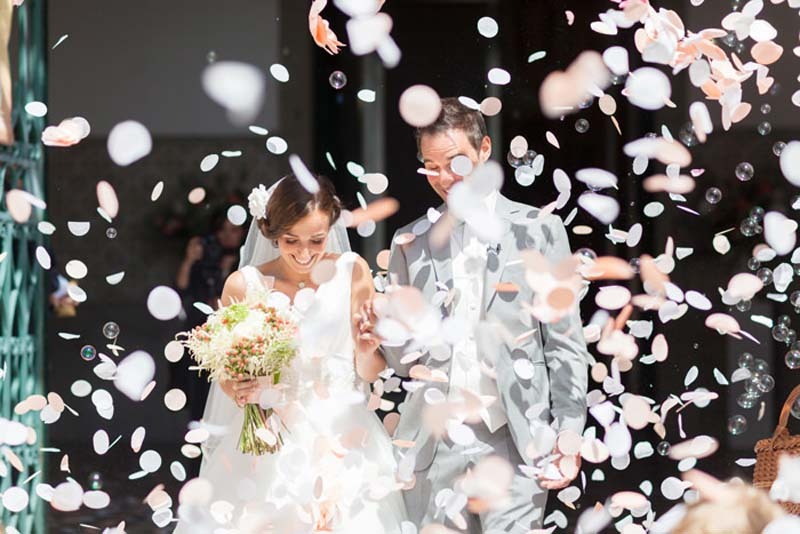 Throwing confetti is a wonderful tradition that symbolises good luck, love, and fertility–what better way to start married life? There are lots of wedding customs that make our big day special and remind us of family and culture. Some of them can be a bit silly or strange (did you know bridesmaids were originally there as decoys in case someone tried to steal the bride?!) but we keep them up anyway. 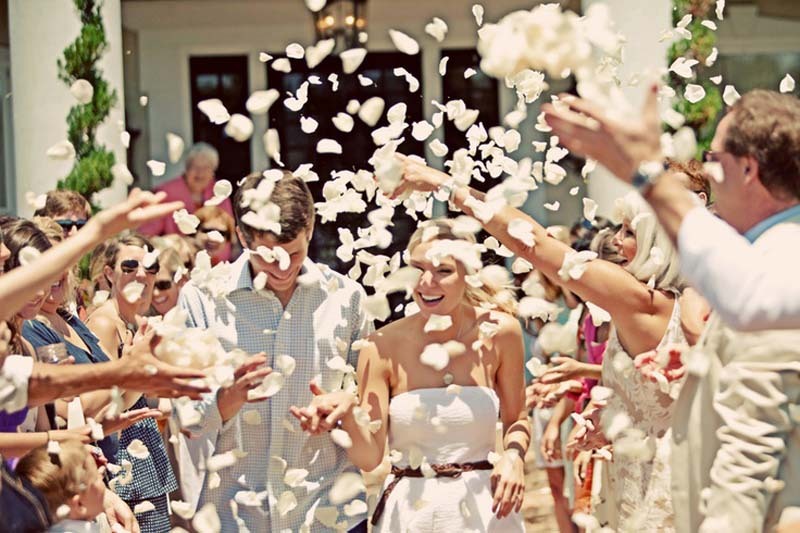 Confetti is still lots of fun and having your friends and family sprinkle you both with pretty petals, love and good wishes for a long and happy life together, is just lovely! 2. A photograph to treasure forever. 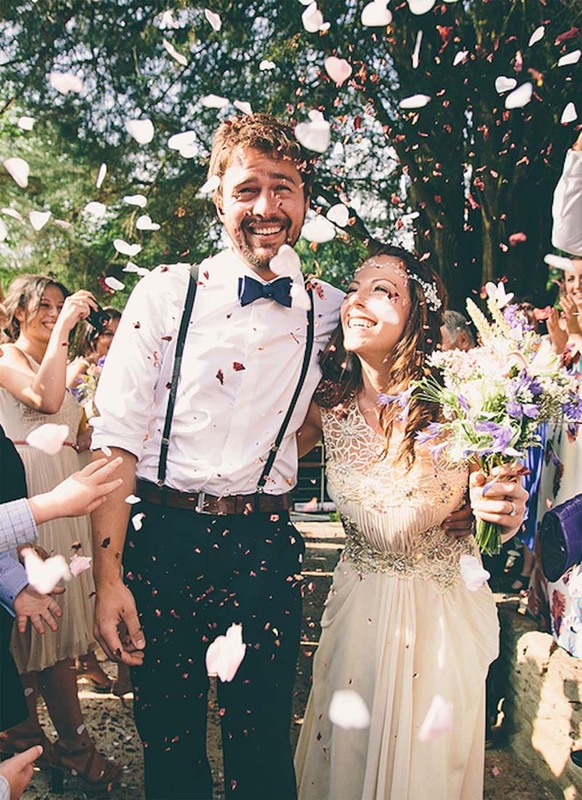 The confetti shot often becomes the most cherished of all wedding day pictures–it beautifully captures the joy and love and excitement of having just got wed! 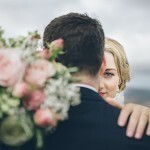 Two happy people, newly married, surrounded by loved ones and a flurry of fluttery petals – it’s the perfect wedding day memory. 3. Get the party started! 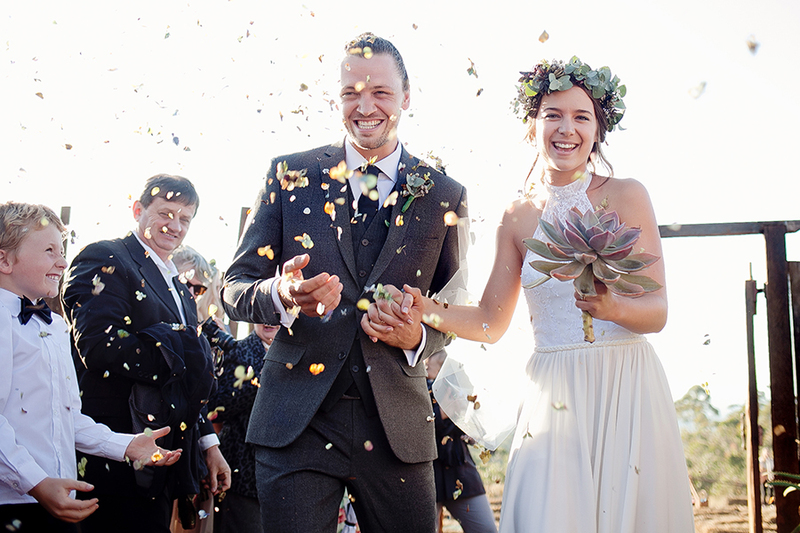 The confetti throw marks the end of the formal ceremony and the start of the wedding day celebrations – bring on the champagne and let’s start this marriage in style! Confetti is great fun – kids love the excitement, girls love the prettiness, boys get surprisingly competitive about it and mums and aunties will be sure to pop your personalised confetti cone into their handbag as a keepsake! There’s no better way to take your first steps together into married life! 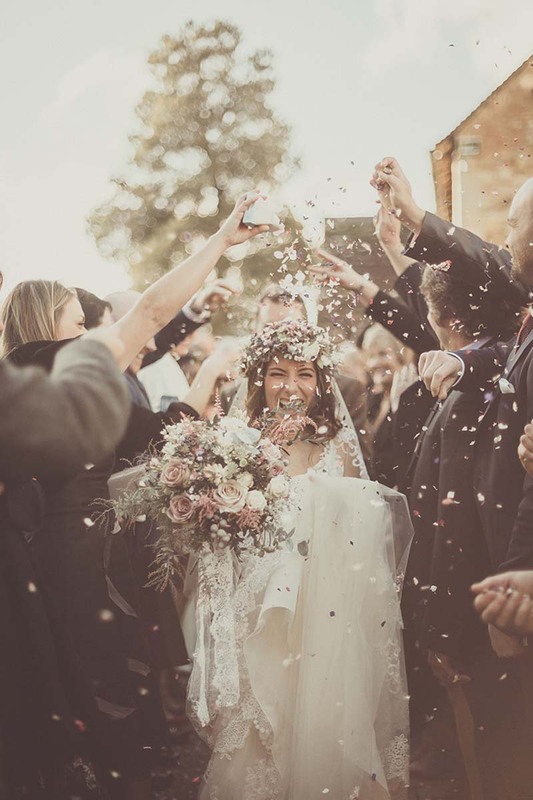 Check out www.confettidirect.co.uk for everything you need and give The Real Flower Petal Confetti Company a call – 01386 555045 – or email sally@confettidirect.co.uk if you need any help or advice. They are the UK’s original petal confetti farm and have been growing and handpicking their own petals since 1997! They are very happy to help you and even offer a bespoke sample service and next day delivery if you’ve left it late. Perfect! Stunning images and a great piece – I couldn’t agree with you more. Confetti for everybody! I love shooting weddings that have the traditional confetti throwing it adds a bit of fun to sometimes a very formal ceremony and the slow motion shots are something to behold. Thanks for sharing. The more confetti the better! They make such beautiful photos, not to mention the fun experience. Gorgeous photos.